Wells Fargo is in hot water over mortgage fees yet again. It was revealed last year that the banking giant had improperly charged 110,000 customers rate-lock fees. The fees are charged in order to lock in an interest rate on a mortgage if closing is delayed. However, the fees aren’t supposed to be charged when the delay is due to the lender’s actions rather than the borrowers. Wells Fargo, it was revealed, had been charging the fees even when they were at fault for the delays. The company also got in hot water after it admitted that it had charged 600,000 customers for unnecessary auto insurance. 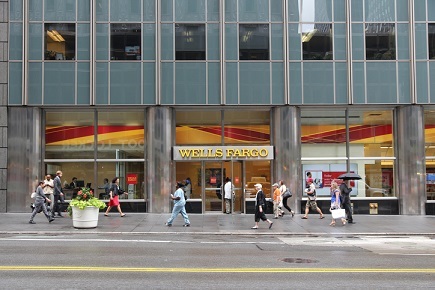 Wells Fargo announced that it would issue refunds to the affected customers. But the bank has apparently botched the job, forcing mortgage rate-lock customers to officially agree to receive a refund before they got one and sending 38,000 incorrect notices to auto-loan customers, according to a CNBC report. That snafu has prompted Sen. Elizabeth Warren (D-Mass.) to fire off a letter to Wells Fargo CEO Tim Sloan, demanding an explanation, accusing Sloan of breaking his promises to customers and flatly accusing the bank of stealing its customers’ money. Her letter demanded an answer from Sloan by the end of the month. Warren demanded to know why the bank chose to impose an opt-in requirement in order to get a rate-lock fee refund, CNBC reported. She also demanded that the bank release a detailed description of the refund process it plans to use. In response to CNBC inquiries about the letter, Wells Fargo released a statement saying that it was acting “as quickly as possible” in its remediation process. “We will address any questions Senator Warren or her colleagues on Capitol Hill have about these plans under way,” the bank said.